Both the 28th and 29th were spent mainly doing work at the observatory, so the usual Glaucous Gull and a Woodcock were the only sightings worth mentioning. Leap day, however, the rarest day on the calendar, turned out to be a calm, dry and mild opportunity for some bird census around the island. A Jack Snipe in the arable field next to the observatory was a bit of a surprise, and the year's first Pied Wagtail flying overhead was also noteworthy. At the north of the island, a Pink-footed Goose had joined the Greylags and a long-staying Iceland Gull was still in residence. Skylarks continued to increase, with 21 seen during the day. The coordinated Orkney goose count provided a good excuse for a drive around the island to have a gander at all the usual wildfowl spots. Greylag Geese numbered 1,267 birds, with the 67 European White-fronted Geese, 1 Greenland White-fronted Goose and 6 Tundra Bean Geese still among them. Other noteworthy counts of waterbirds included 288 Wigeons, 125 Teal, 14 Goldeneyes, 10 Red-throated Divers and 3 Great Northern Divers. At least 3 Iceland Gulls were seen, including the long-staying dark bird, and the usual Glaucous Gull was still near the observatory. 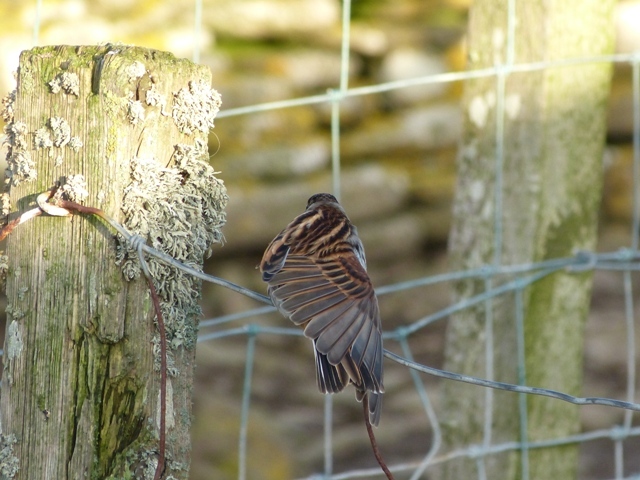 Small numbers of Skylarks, totalling 21 birds, were logged during the day; a Meadow Pipit was near Hooking and the Icelandic-ringed Redwing was retrapped at Holland House. There was little new to mention from a period that included some very rough weather at times, but most of the long-staying notable birds stayed put through the gales and downpours. The gathering of White-fronted Geese remained settled near the post office, their single Greenlandic delegate still greatly outnumbered by its European counterparts. The lone Knot was seen again on the 24th, and both the Scaup and the Glaucous Gull were still present on the 25th. 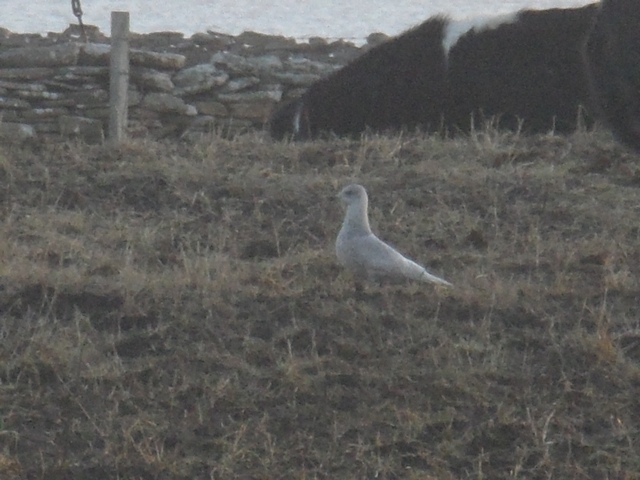 An adult Iceland Gull was around Stromness point on the 24th, and an immature bird was near the lighthouse the following day. 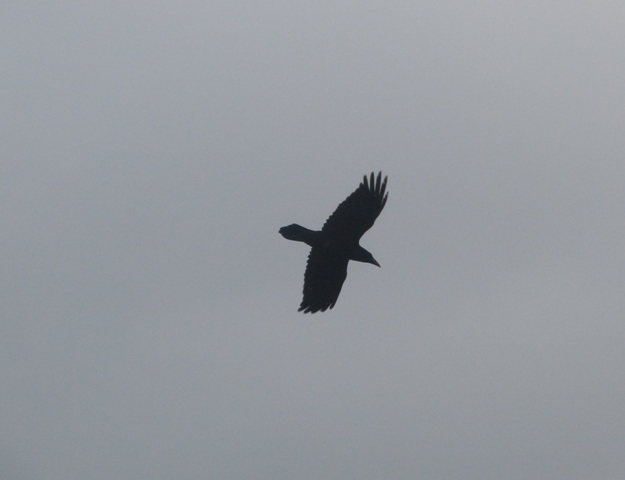 There was nothing to report on the 21st, but a slightly brighter day on the 22nd revealed some new birds at least. A Short-eared Owl near Ancum Loch was a new species for the year, and 3 Pochards had arrived on Gretchen Loch. The female Scaup made another reappearance, a Glaucous Gull was still near the observatory and, most surprisingly, the unusually dark Iceland Gull last seen on the 6th turned up again near Westness. Iceland Gull, although still showing some similarities to a Kumlien's Gull. The bird sightings for both days showed little change, with White-fronted Geese (67 seen on the 19th, 61 on the 20th), Iceland Gulls (1 each day) and Glaucous Gulls (the usual bird both days, plus a new one on the 20th) providing the main interest. 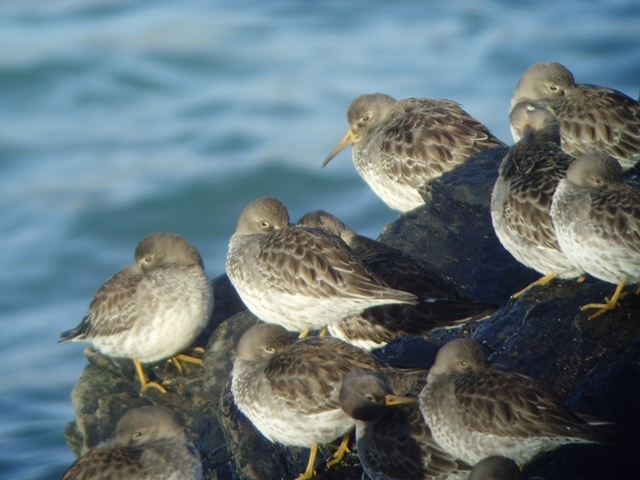 A Woodcock was seen on the 19th and a Knot on the 20th was a new species for the year. 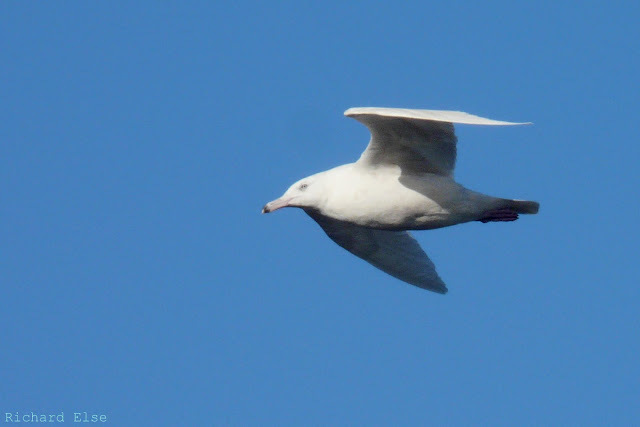 Glaucous Gull. Like a fascist with a speech impediment, we've been having a lot of white-wing views recently. The usual Glaucous Gull near the observatory and an Iceland Gull flying over Nouster Bay were the highlights of the 17th. A Woodpigeon took first prize in the migrant-of-the-day stakes on the 18th, while the flock of White-fronted Geese reached a new high of 68 birds, including the single flavirostris bird. One of the lingering Glaucous Gulls was trapped and ringed on 15th at the Seal carcass near Gretchen. A quiet couple of days with little to report on 13th but for an immature Iceland Gull at Ancum briefly. While on 14th the 2 immature Glaucous Gulls were seen again at Gretchen, 27 European White-fronted Geese were at the school and a Hen Harrier hunted the south of the Island. On 11th a third Glaucous Gull arrived with both 2nd winter birds on Gretchen all day and another 2nd winter on the Links. The adult Iceland Gull was also seen again dropping into Gretchen briefly, there was a single Jack Snipe at Hooking and 2 Hen Harriers (male and ringtail) roosted there. Our fourth Glaucous Gull in two days was seen at Gretchen next day, this time a juvenile with the 2 2nd winters also still present there. A juvenile Iceland Gull flew south past Twingness and 23 European White-fronted Geese were near the school. 12 Twite and 3 Linnets returned to the Observatory crops for the first time in a while and a Song Thrush was with 8 Fieldfares and 21 Redwings at Holland House. 3 Humpback Whales were sighted from a Survey vessel east of the Island today, but unfortunately our attempts to see them drew a black and we were only able to catch sight of the ship on the horizon-just! Not much to report today. The adult Iceland Gull was feeding with other Gulls in Nouster Bay again, while the usual 2nd winter Glaucous Gull was still at Gretchen. The 47 European White-fronted Geese and single Greenland White-fronted Goose were still near the school and a Merlin was seen. Most of the Island was covered today and as a result there were some good counts of both Wildfowl and Waders. The 6 Tundra Bean Geese were re-found at Westness, while the Greenland White-fronted Goose was also seen again with 47 European White-fronted Geese near the School and 1179 Greylag Geese were counted. 5 Shelducks at Bridesness were new and counts of 322 Wigeons, 104 Teal, 8 Gadwalls, 7 Pintails, 20 Tufted Ducks and 15 Goldeneyes were made and the Scaup had returned to Ancum. 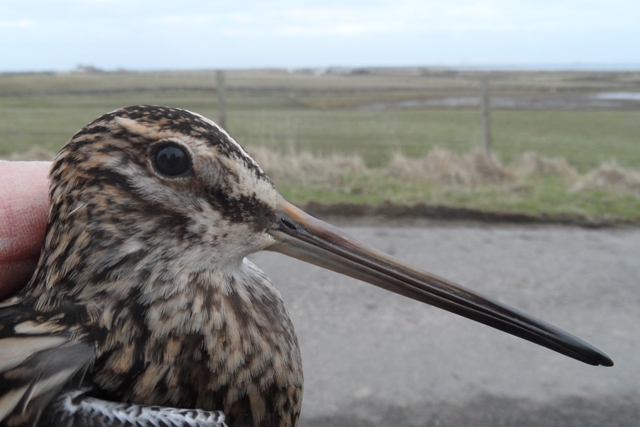 As for Waders, species recorded in good winter numbers were 129 Oystercatchers, 170 Lapwings, 47 Bar-tailed Godwits and 3 Jack Snipes flushed from Hooking. The 2 Glaucous Gulls were both still present and 2 Hen Harriers, 2 Merlins and a Peregrine were seen. Passerines were limited but for 20 Fieldfares, 31 Redwings, a Song Thrush and 9 Twite. 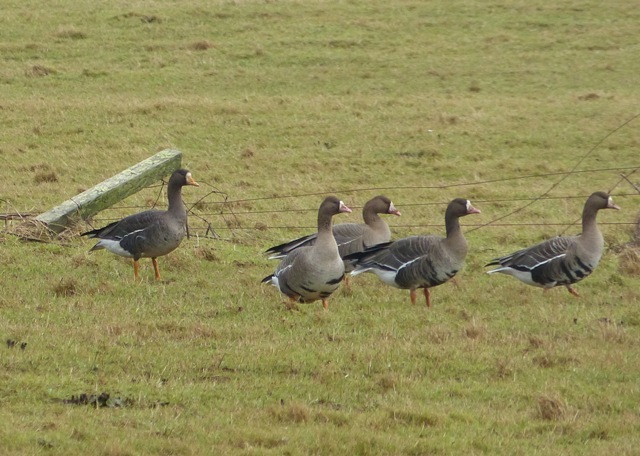 A single Tundra Bean Goose joined the Greylag Geese near the School and nearby were 50 European White-fronted Geese. A thrash around Hooking Loch yielded no Bitterns but found the first 2 Jack Snipe of the year. 124 Snipe were also logged along with 4 Meadow Pipits (year tick) and a Water Rail. Other waders noted were 77 Sanderlings, 39 Ringed Plovers and 18 Dunlins on the Links while 3 Woodcocks were around the south of the island. Both of the immature Glaucous Gulls remain and there was an adult Iceland Gull in Nouster Bay briefly. A Brambling at the Observatory was the days highlight, while the only other new arrival today was a juvenile Iceland Gull which flew south through the Island in the morning. Lingering birds of note included the 2 Glaucous Gulls at the south end, 57 European White-fronted Geese near the School and at least 2 Woodcocks, 28 Redwings, 4 Fieldfares and 3 Linnets. After a couple of days without any Iceland Gull sightings at least 3 were seen today, the most interesting of which was an immature that was either a very dark individual or a 'Kumlien's' Gull at Gravity briefly in the morning before flying south. An adult near the Airfield was also a new bird wheras a 2nd winter near the lighthouse was probably lingering from last week. The 2 2nd winter Glaucous Gulls also remained in the south of the Island, and the 5 Whooper Swans were still in the north. A Pochard on Ancum was new and Tufted Ducks increased to 42. Also new in were an adult male Hen Harrier, 4 Woodcocks in Holland House gardens and 201 Purple Sandpipers counted on the coast was the highest of the year. A few Robins have arrived with at least 7 now present, while 16 Fieldfare and 18 Redwing were noted. 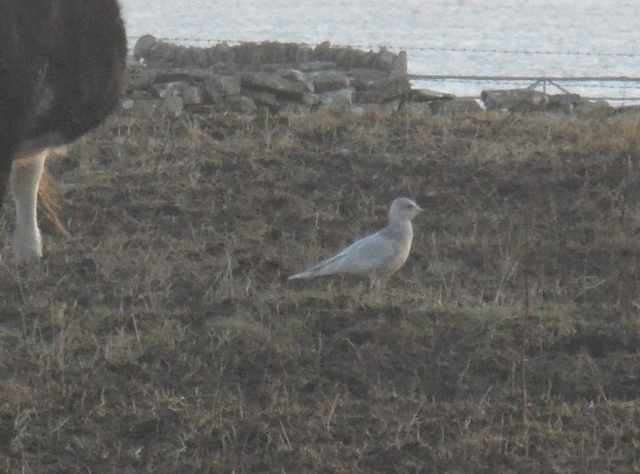 Dark Iceland Gull or Kumlien's Gull? Poor photo's taken early this morning, any comments welcome. With horrendous weather on 4th the entire day was spent indoors, but a return to calmer conditions the next day meant there were a few things to report. Presumably the same lingering 2 immature Glaucous Gulls spent most of the day around Gretchen but an adult male Merlin was a new individual and 2 Hen Harriers were seen. 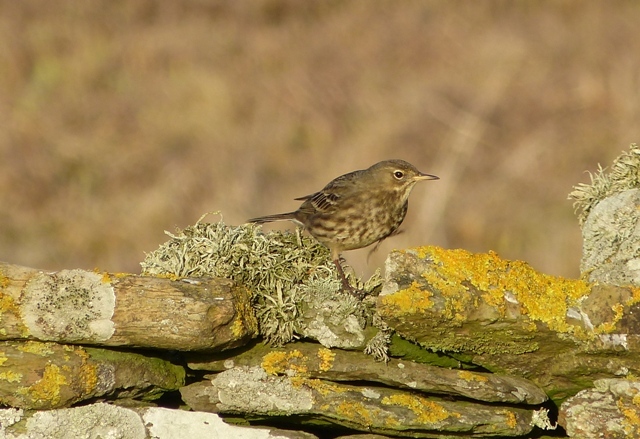 Despite the current cold snap throughout most of Europe and other parts of the UK, wildfowl numbers have thus far remained fairly static but thrushes though continue to increase slowly with 52 Redwing and 14 Fieldfare now present, while 3 Linnets have also arrived. A wander around the Island on 2nd found 60 European White-fronted Geese to still be present near the School while the regular 2nd winter Glaucous Gull was still at Gretchen, but a 1st winter Iceland Gull feeding in Nouster Bay was new. The female Scaup re-appeared on Ancum and 14 Long-tailed Ducks were off the east coast. 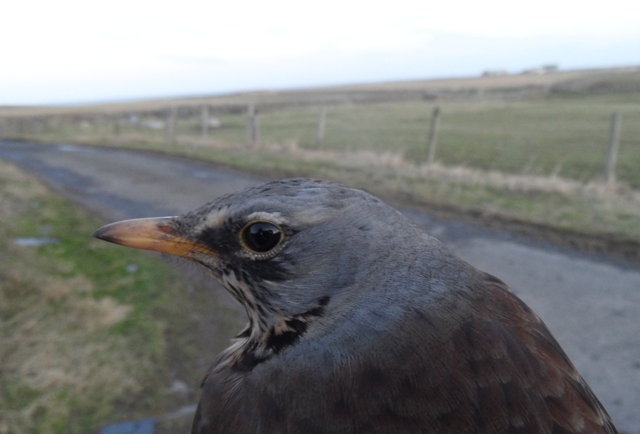 A small influx of Thrushes has been noted with 39 Redwings, 10 Fieldfares and a Song Thrush counted. On 3rd another new Iceland Gull arrived, this time a 3rd winter at the Kirk and a handful of Skylarks were noted coming in off the sea. Over the two days at least 2 Hen Harriers and 2 Peregrines have been seen, and a few more Woodcocks also seem to have arrived. 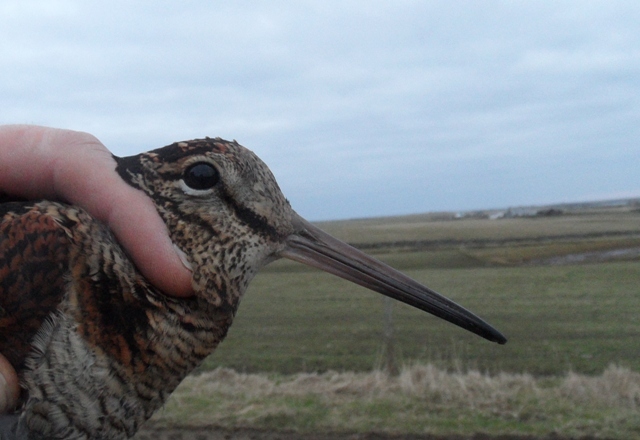 This Woodcock (above) and Snipe (below) were caught during a rare winter ringing session in the Holland Gardens, with the aim of catching a few Redwings frequenting the area. 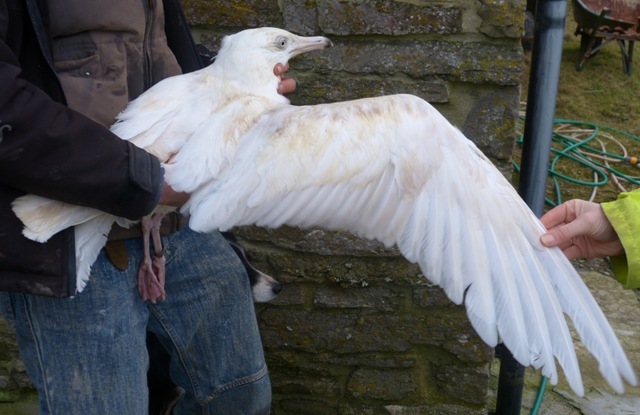 Just 4 were caught but did include an bird previously ringed in Iceland. This is only the 3rd foreign ringed Redwing to have been re-trapped on North Ronaldsay-the other 2 had also been ringed in Iceland! Winter ringing has been surprisingly productive so far, with an attempt to catch Ducks on Bridesness during slack weather last night resulting in zero Ducks being trapped-but instead just the 2nd, 3rd and 4th Bar-tailed Godwits to have been ringed on the Island were caught. Sightings were limited and confined to the Twingness area as the day was spent working through various jobs in and around the Observatory. 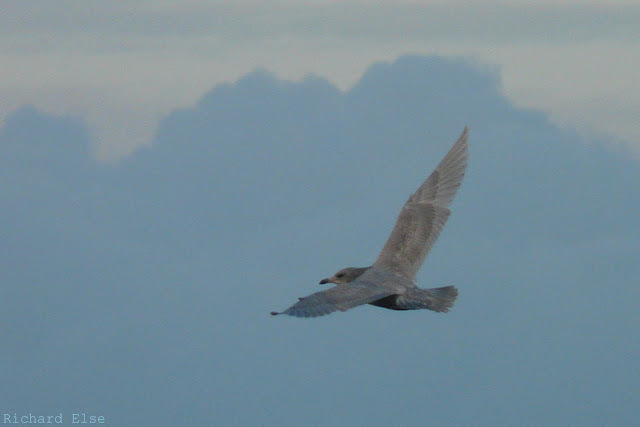 The ever present 2nd winter Glaucous Gull remains and an immature Iceland Gull was seen to fly south. A female Common Scoter was off the Pier and a Linnet briefly joined the 30 Twite in the Observatory crops.